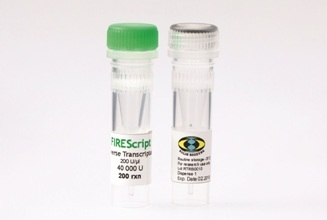 FIREScript Kit is an economical option to perform reverse transcription with a powerful enzyme, while allowing you to choose the other components according to your preference. 06-13-00050 50 rxn PDF PDF PDF 66 EUR Login to buy! 06-13-00200 200 rxn PDF PDF PDF 238 EUR Login to buy!